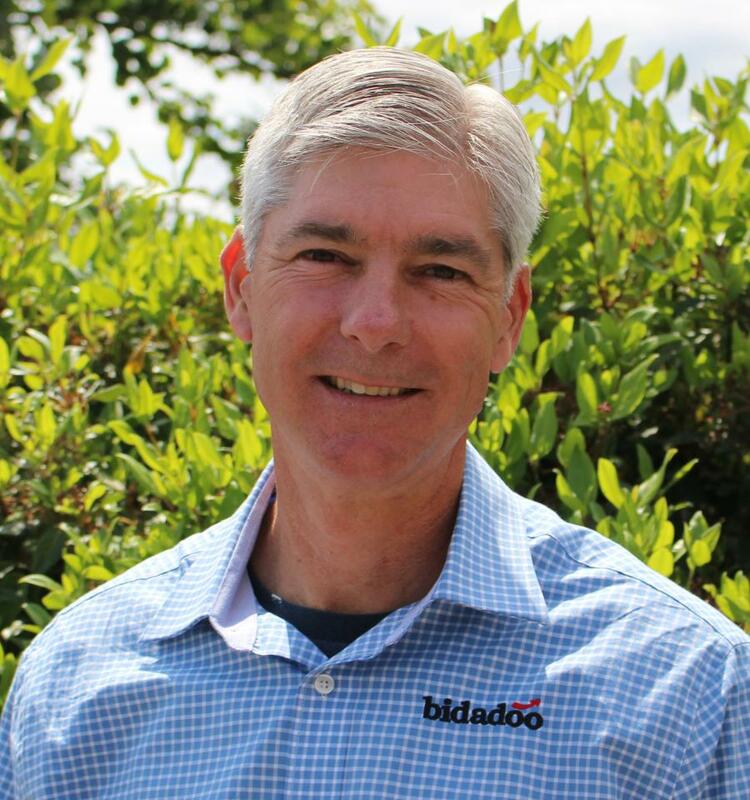 Howard Hawk is the president of bidadoo Inc., a global online remarketing company with auction service centers across North America and bidders and buyers from around the world. bidadoo provides equipment sellers access to the world’s largest online bidder and buyer base through their long-term partnership with eBay. The internet has revolutionized the way we buy and sell. Many purchases that used to demand in-person attendance have evolved — and improved — into virtual services. The heavy equipment auction industry has discovered the tremendous advantages in utilizing the internet as a powerful conduit in conducting auctions. From a "buyer beware" mentality at traditional live land-based auctions — transparency and efficiencies of some auction marketplaces have illuminated the equipment auction environment. A "buyer aware" auction marketplace is where smart equipment buyers and sellers are turning for their trusted fleet equipment needs. Let's explore how buyers and sellers can both benefit by using online equipment auctions. Online buyers have access to a much broader selection of equipment — regionally, nationally and even internationally, rather than the local selection of a live auction. Live auction attendees are limited by the selection of the local auction, with a selection of dozens or hundreds of machines rather than the literally millions of pieces of equipment offered online. Being able to access millions of pieces of equipment from trusted sellers around the world gives buyers much greater selection than simply relying on local supplies to meet their business needs. The key to accessing a much broader selection of equipment is being able to trust the information while bidding and purchasing online. Smart online buyers are switching from "buyer beware" sellers (such as most live auctions) to "buyer aware" offerings from trusted online auctions and sellers. Successful online sellers do a lot of the leg-work for buyers by vetting sellers and equipment and providing this transparent information for buyers to make intelligent bidding and buying decisions. Live auction venues may have an impressive catalog of equipment, but without knowing with units are good and which are major issues, it makes the buying process difficult, time consuming, risky and potentially very costly. Successful online marketplaces vet sellers and hold them to a high level of transparency and integrity, so the buying process is much more informed than traditional auction models. By accessing online marketplaces, buyers have access to literally millions of assets at the tips of their fingers. Smart buyers who value their time and who want to focus on their business realize the significant time and opportunity cost of attending live auctions or traveling to brick-and-mortar locations to evaluate a limited selection of equipment. While a smart online shopper can evaluate hundreds or thousands of a particular machine specification within minutes using the internet, may only have access to a few pieces of a similar specification at a live auction sale or any particular brick-and-mortar location. On the internet, the buyer is in-charge, and it is is a much better use of limited time, costs and resources. At the very least, think about the cost of time, travel, inspections, evaluations, attending and bidding at a live auction vs. a trusted online auction. Providing equipment valuation and appraisal services is a huge value-add to buyers, especially end-users. Discerning buyers research equipment valuations and historic auction results before bidding and buying equipment online. Naturally this can be done at live auctions, but buyers who are savvy enough to buy online are typically much better informed and can use auction results and different online tools to educate themselves to make better buying decisions. These services make buying equipment online easy, efficient, convenient and safe. Online buyers expect a convenient "one stop" shopping experience. Leading online auction providers bundle these convenient end-user services to take the hassle and guesswork out the equipment buying experience. Finally, if and when issues arise in the used equipment buying process, leading online auction companies offer buyer protection. With traditional live auction models, equipment is sold "as-is, where-is", "buyer beware". This encourages sellers to send a lot of distressed inventory to live auction sites, which significantly complicate the buying process and add significant risk. By contrast, leading online auction companies offer buyer protection programs. If the equipment that the winning bidder is not significantly as described, leading online auction companies will work with buyers to make it right — by offering to fix or even return the items. For buying anything online, especially heavy equipment, this is significant. Bidders can take comfort in knowing that if the item that they won in an online auction has not been properly represented, they have a recourse. This also significantly discourages the amount of undisclosed distressed equipment from leading online auction providers over traditional auctions. Be sure the online auction company that you choose has a leading buyer protection plan. Before the internet, it made sense to get enough equipment in one place to get a critical mass to "have" an auction. Buyers would typically be regional and local buyers that traveled to the auction sites to inspect and bid on equipment. It was difficult to attract a global audience due the cost of attending the auction to inspect and participate. Remote buyers couldn't "safely" participate in live auctions due to the "buyer beware" nature of the live auctions. Now, it is a common practice to safely buy and sell equipment on the internet — via a "retail" offering or an auction format. Sellers will get increased price performance by having a broad, global buyer base. A global market removes local and regional inefficiencies, and significantly expands the buyer base. The key is to ensure you are selling on a platform with a broad global buyer base. The platforms with the most global buyers will lead to the highest returns. Broad global platforms like eBay, Amazon (for retail), or Alibaba have very large global buyer bases and will give the most exposure. For example, a platform like eBay has over 175,000,000 registered buyers around the world. This broad buyer base will increase values often by 10 to 20 percent over more localized platforms and bring buyers from "hot" economic regions to participate. As mentioned above, transport costs are key factor when comparing the two alternatives. Depending on the size and value of the assets, the transportation cost is often in the 4 to 10 percent of the value of the equipment, or even higher in some cases to transport equipment to a traditional auction site. With live auctions the seller is "out" 4 to 10 percent of the value of their equipment before they even start the selling process as the equipment has be shipped to the auction site. Before the internet, the live auction sites made a lot of sense, but with the advent of the internet and online marketplaces, it simply doesn't make sense for sellers to give-up this 4 to 10 percent of the value of their equipment during the selling process. In addition, once the equipment is at a remote auction site, any additional preparation work (parts, repair, preparation, batteries, etc) requires additional transportation to the site or more expensive 3rd party fees. Sellers benefit with professional and transparent valuation services. It is important for sellers to have predictable selling performance to make educated fleet and selling decisions. Online marketplaces have tremendous equipment valuation and research tools for sellers to use to help with their decisions. Further, professional auction providers can provide appraisal services to help with fleet remarketing decisions. With online auctions, values are often more predictable, as they lower the inefficiencies of local land-based auctions. This again lowers the risks of using auctions, by giving sellers more predictable results. Be sure to work with online auction marketplaces that can provide quality valuation and appraisal services and have a history of performing to their valuation estimates. Modern businesses have to be dynamic and move quickly. Live auctions often only offer quarterly sales, and the schedule might not fit into your business process. Alternatively, the larger online auction players host weekly auctions, and can get seller's equipment sold within a couple of weeks, and generate cash-flow in weeks, rather than months. This model makes give a lot more flexibility to businesses rather than trying to fit into the timeframe and fixed locations of live auctions. This improved time-to-market, flexibility, and virtual selling also affords asset sellers less business disruption. Trying to fit into live auction schedules often disrupts business flows and options. Alternatively, with online auctions sellers can schedule asset disposal into the normal fleet planning and disposal schedules, freeing up valuable resources to focus on their own customers and critical business operations. Finally, in the modern internet world, information is readily available and extremely transparent. Professional sellers realize that it is more advantageous to sell equipment transparently and sell equipment as they like to buy equipment — fairly, transparently, honestly and with full disclosure. These sellers realize this is simply a right thing to do, and understand the benefits of transparency, protecting their own brands, and doing the right thing. The benefit to sellers is that selling from a trusted online brand will yield 7 to 15 percent on average higher for your assets than selling through a less-trusted brand. Equipment assets are often a huge part of a company's value. A smart fleet remarketing plan is essential to maximizing the return on your capital assets. Leading online auctions marketplaces give sellers greater flexibility, broader buyer base, less selling costs and higher net returns over traditional auction models. Buying equipment through online auction is growing quickly as eCommerce services in many other industries. Buying equipment is often one of the largest expenditures a company makes. Leading online auctions provide better selection, more buyer convenience, greater transparency of information, better use of time and resources, and a safer and more effective equipment buying experience than traditional auction models.